A Salute to Chicago's Youth exhibit is now on display through July 8, 2018 in Harold Washington Library Center's Congress Corridor, Ground Floor. 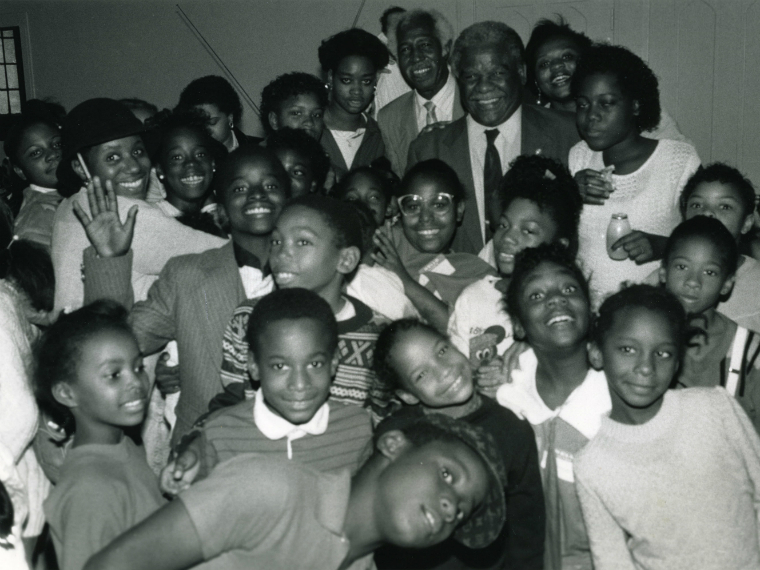 This exhibit features photographs from Harold Washington Archives at Chicago Public Library. The photographs capture the Mayor engaged with his young constituents. Harold Washington ran for mayor in 1983. He was inaugurated on April 29, 1983 and was re-elected in 1987. Mayor Washington died of cardiac arrest on November 24, 1987, just a few months into his second term.